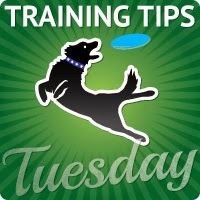 Training Tips Tuesday | Our five top Clicker Training tips. It always amazes me the power of a dogs mind. They just never stop learning. I don't know about your dog but Lottie is always so eager to learn new things. Positive reinforcement have grown dramatically over the last 10 years (Thank goodness it has). 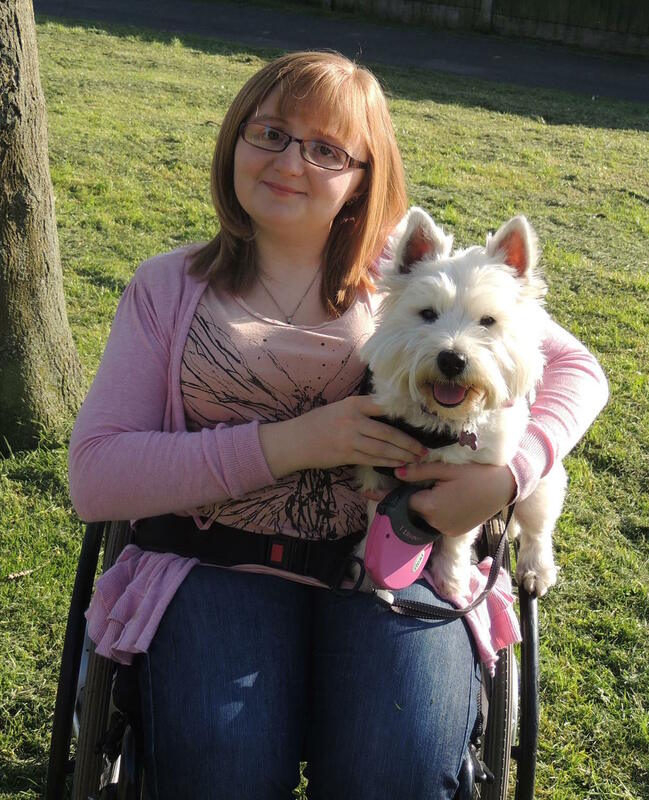 Lottie and I are completely hooked and Lottie just would not be the same dog without it. When I first started clicker training I read so many books, about how if I didn't press the clicker at exactly the right point then all the training would be pointless. I suddenly panicked thinking "who exactly is training who here!". I wanted to make Lottie know exactly what I wanted her to do and clearly. Click for Joy - Karen Pryor Clicker Books. 2. Be persistent and don't try to rush , I know most of the books say things will happen really quickly and it should not take long for your dog to grasp the concept. I really feel this completely depends on the dog. If your dog doesn't take to it straight away, don't give up. Don't wait for the perfect behavior. For example if you want to teach sit, first click when your dog starts to crouch in its back then build it up from their. 3. Find out weather your dog is treat or toy orientated. For us we use treats, this means every time I click the clicker she gets a treat. However this certainly is not the only way and we do have some doggy friends that use toys instead. In their case they would click the clicker and then reward the dog with a game of fetch or tug with their favourite toy. 4. Don't end your training sessions on a bad note. If your dog is not doing the command you are saying, then your dog is not disobeying you it just hasn't learnt the cue completely. If you find you or your dog is starting to become mad end the session immediately. Do a trick that you know your dog can do and end it on a really positive note. Would you want to repeat something that ended badly the last time it happened? 5.Remember you can clicker training to fix behavior not just learn tricks. To achieve this you simply click when the dog does the desired behavior and ignore everything else. For example if your dog is used to jumping up on visitor make them aware to ignore the dog until they are sitting nicely, once this happens you can click for all four paws on the ground. The dog then learns they get nothing for jumping up but a nice tasty treat or toy when their paws are on the ground. These are just a few of the tips I would of found useful when I first started clicker training. Please feel free to let me know if you have any other handy tips. Those are great tips for clicker training! 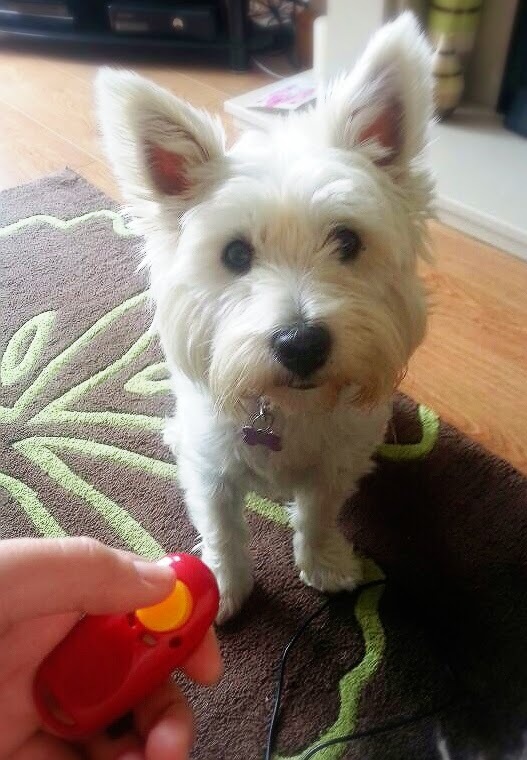 The clicker is such a useful tool and communicative device to learn new tricks and help awaken the innate problem-solving abilities and intelligence in dogs!